The PM6 3330 is one of the latest designs of small & light weight Pelican tactical flashlights. 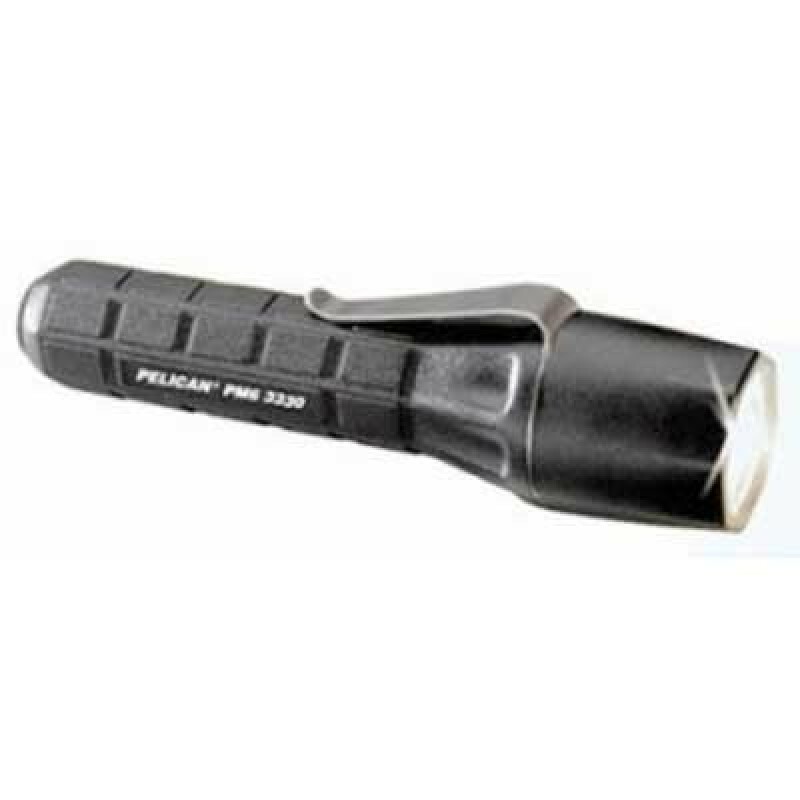 The Pelican PM6 3330 Tactical Flashlight features a super bright 1 watt LED light that can create an incredible 41 lumens for 40 hours before battery burn out (2 CR123 lithium cells-included). The PM6 3330 is made of a durable and light weight polymer that is water, heat, and chemical resistant. Pelican's PM6 3330 has a tactical on/off momentary tail switch and a detachable stainless clip. The Pelican PM6 3330 also comes with the unconditional and lifetime Pelican Products guarantee.